Anurag Jain, chief operating officer of CarDekho, says he expects the automobile portal to become a unicorn by 2017. New Delhi: Brothers Amit and Anurag Jain, founders of the automobile portal CarDekho.com, went from stall to stall at the Delhi Auto Expo in 2008, patiently collecting all the brochures they could lay their hands on. “With all the data in the brochures, we went live with CarDekho.com in two months,” Anurag, who at 36 is two years younger than Amit, said in a recent interview in Jaipur, where the brothers’ Girnar Software Pvt. Ltd is based. For a website with such modest beginnings, CarDekho went on to be valued at $300 million in January 2015 when it raised $50 million from Hillhouse Capital, Tybourne Capital and Sequoia Capital. Tata Group’s chairman emeritus Ratan Tata and HDFC Bank Ltd provided more funding. On 22 March, Girnar Software said it had raised more money from Google Capital and Hillhouse. It didn’t disclose the amount of funding, which it will use to enhance technology, research and development efforts and for geographical expansion. After investments from Google Capital, CarDekho’s valuation has gone up to $380 million. “The team is led by savvy entrepreneurs with a strong product orientation, who have positioned the company perfectly in a rapidly growing market,” said David Lawee, partner, Google Capital, in a statement. 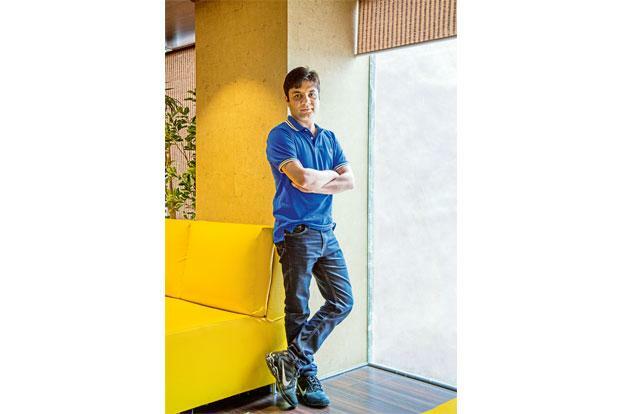 In the recent interview, Anurag Jain, chief operating officer of CarDekho, said he expects the automobile portal to become a unicorn by 2017. “We shall be able to reach $1 billion (in valuation) by next year,” he said. Unicorn is a term popularized by venture investor Aileen Lee for start-ups valued at $1 billion or more. If his confidence is borne out and CarDekho indeed becomes a $1 billion firm, it will join the league of home-grown unicorns such as Flipkart, Ola, InMobi, Quikr, MuSigma, Snapdeal, Zomato and mobile wallet start-up Paytm. In recent months, Indian start-ups have struggled to raise funds as investors become more choosy and a perception gains ground that start-up valuations have run ahead of themselves. In February, Morgan Stanley Institutional Fund Trust, a minority investor in Flipkart, disclosed a write-down in the value of its holdings in the firm by as much as 27%, implying that it valued the firm at $11 billion, down from $15 billion in June when the e-commerce platform received $700 million from Tiger Global Management, Qatar Investment Authority and other investors. Anurag’s confidence is based on a business plan he and his brother have charted for CarDekho that includes providing car-purchase leads for original equipment manufacturers, used car sales, vehicle finance and valuations, and handling customer relationship management for car dealers. CarDekho has also expanded in the online auto classified business with key buyouts such as Zigwheels.com and Gaadi.com that have left its nearest rival CarTrade.com a distant second. The firm has expanded to 25 countries, with a focus on South-East Asian markets such as Malaysia, Indonesia and Vietnam. “The business seems to have great potential. They are into the new car as well as used car business, which in value terms are equal. However, the challenges that they will face are in the assessment of used cars. People are relying on the website for their purchase decision and if they are sold lemons, promoters will be blamed,” said Harish H.V, partner, Grant Thornton India. Amit and Anurag were born on the same date two years apart. Anurag followed his elder brother to the Indian Institute of Technology (IIT) Delhi, and later to Texas in the US where they worked at different information technology firms. The brothers nursed the idea of a start-up from their IIT days and registered a company named SteerTech that remained on paper. A family situation forced the brothers to return from the US to Jaipur and join the family business of precious stones that they closed after clearing the inventory to pursue their passion for technology and automobiles. In 2007, the brothers started IT services firm Girnar Software, named after a town in Gujarat that’s a place of pilgrimage for the Jain community. GirnarSoft started building products for healthcare and telecom firms in Europe and the US. “The intention was always to become a product company,” Anurag said. “We never started the firm to raise funds or have investors on board with us. We created the company to build a fundamentally sound business. So whatever money we used to make from services, we put in the product side,” said Anurag. The first investor, Sequoia Capital, came on board in 2013 when the Jains raised $15 million, six years after CarDekho’s founding. Anurag insisted the company is not in the valuation game. CarDekho wants to create an ecosystem around automotives in India that will capture the technology requirements of all stakeholders such as auto firms, dealers and consumers. The focus is on mobile apps, car apps, connected cars, international expansion, car pricing, insurance, finance and accessories. “The main thing is you buy a car once in four years but these (add-ons) are things that you are going to get every now and then. We are getting into the car owner business because then you can talk to the guy every month. We want to talk to your car engine and tell you that your car could run for only these many kilometres, fuel station is on the way, why don’t you fill up,” Anurag said. For dealerships, digital leads are the cheapest mode of customer acquisition. “The guy goes to a showroom only after doing his research on the Internet. We want to give them a platform where dealers can start engaging with customers very early,” he said. For used car dealers, CarDekho is creating a platform to test the road-worthiness of used cars and offer quick quotations. The company will issue a valuation certificate that banks will accept to clear a loan without inspecting the vehicle. “We will have tie-ups with banks and based on our valuation, banks will tell us immediately if a person will get finance or not. The vision is to have a loan disbursed in 30 minutes once he walks into the showroom. This will change the game fundamentally,” Anurag said. A Deloitte report released in February estimates the used car market to be the same size as the new car market currently. It adds that 67% of used car customers are in the age group of 26-35 years, highlighting that first-time buyers are increasingly opting for pre-owned cars, largely due to their preference for bigger vehicles at the price of an entry-level car. At least 70% of new cars are financed, while only 25% used cars are. The numbers for used car finance is low because of the non-availability of finance options. “This market is totally untapped today. That’s what excited HDFC Bank (to invest in CarDekho) more than anything else,” he said. CarDekho works with Tata Motors Ltd, General Motors India Pvt. Ltd, Renault India Pvt. Ltd, Nissan Motor India Pvt. Ltd and Mahindra and Mahindra Ltd. “Barring the top three, we work with all of them. We manage all their digital leads, arrange for their test drives. We are running their dealership technology for them… we understand tech as well as auto,” Anurag said. For its international business, CarDekho plans to raise funds separately and work on research and build data until it starts to gain traction in overseas markets. “We are in talks with people to do M&A (merger and acquisition) deals and set up local teams there. We will allocate a small fund and try to raise money in those entities and see how it goes,” Anurag said. Today, there are three major sources of generating revenue today: media sales, dealership lead sales and used cars. The firm has also begun collegedekho.com as it thinks of itself as an IT conglomerate 10 years down the line. “(But) first goal is to meet the future funding requirements through revenue accruals. We have started to do a lot of marketing so we are not profitable now. In FY13, we were profitable in every single quarter until the focus shifted to building the brand,” Anurag said. Priyanka Sahay contributed to this story.